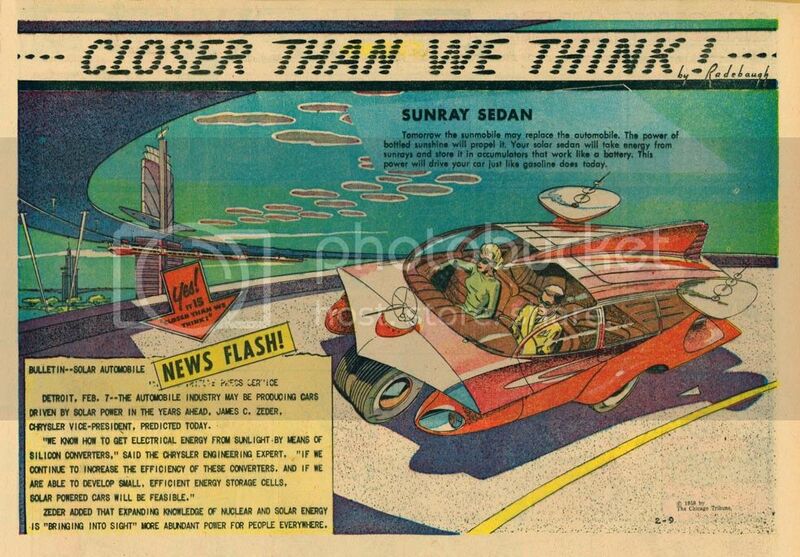 Solar powered cars were predicted in 1958. Finally, they are here. ...As well as solar-powered cities and the Hyperloop. Interesting that Chrysler is behind that poster. 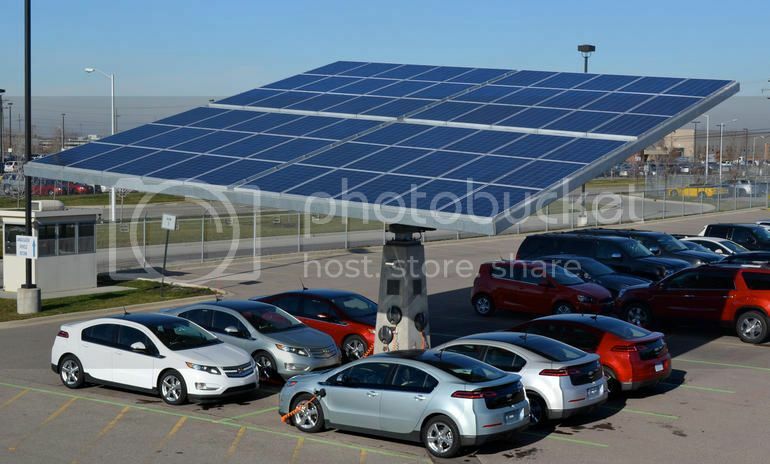 a car company that, as of yet, does not sell any plug-in cars. the IGY showed what good progress could be made when people collaborated together. Sharing information creates quick exciting progress. I've heard that the new Prius Prime has a solar roof option (the car's roof, not your garage's) that will charge the main battery at about 2 miles a day. 700 miles a year for free.